The real question is, how did Mike Johnston find the time to write a book in the first place, let alone a second edition of Hockey Plays and Strategies? I mean, how did he even find the time to answer a few of my questions for this column? And if you aren't familiar with Johnston—wait'll I get to his resume—you will know his co-author on this and four other hockey books (and another coming later this year), former NHL star Ryan Walter. But first, Hockey Plays and Strategies is exactly what you think it'll be, a well-illustrated, precisely described guide to hockey plays in the offensive, neutral, and defensive zones, face-off techniques, and instructions on specific skills, techniques, position responsibilities, and team player requirements. Added for the second edition is a section on scouting the competition and adjusting your game strategy accordingly. 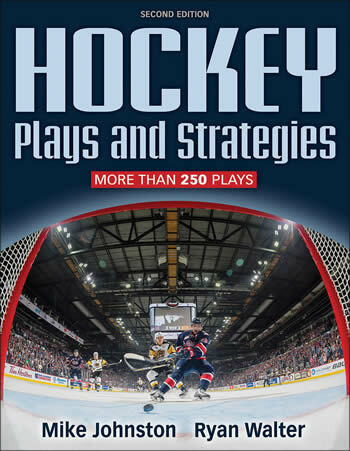 As the promotional material promises, “No matter what level you coach, Hockey Plays and Strategies will guide smart, consistent, and winning play.” It came out in August 2018, from Human Kinetics, a specialty publisher in Illinois; the first edition came out in 2009. Now, on to those impressive resumes, and then we'll hear from both Johnston and Walter. Johnston, who owns a Masters Degree in Coaching Science, has been coaching for 30 years, with his most high-profile gig as the head coach of the Pittsburgh Penguins, from June 2014 to December 2015, and also was an associate coach with the Canucks and Kings. Internationally, he was a part of Team Canada's coaching staff in Nagano in 1998, and more successfully with two World Junior gold medals, three Spengler Cup titles, and at the World championships, two golds, two silvers and a bronze. But for all that, Johnston is most associated with junior hockey and the WHL's Portland Winterhawks, with division titles, and conference championships to his name, and 22 players drafted by the NHL during his time there. He's back there now, following his NHL days, as the VP, general manager and head coach for the team. Walter's pedigree is great too, especially his 15 seasons in the NHL, drafted second overall by the Washington Capitals in 1978. He's got a Stanley Cup ring from his time with the Montreal Canadiens, but another highlight was two seasons with his hometown Vancouver Canucks. He's played in the World Junior tournament (as Canada's captain), represented his country in three World Championships, and played in the NHL All-Star game. He was also a vice-president of the National Hockey League Players Association, and was honoured as NHL Man of the Year. He also coached Canada's National Women's team to a gold medal, served as an assistant coach with the Canucks, and was a broadcaster on TV and radio. He's used his Master of Arts Degree in Leadership/Business towards his books, speaking engagements, and much more. Johnston was pleased that Human Kinetics approached the duo about another edition. He had already gotten plenty of feedback from the first edition. There are plenty of graphics and illustrations, the action on the rink complimented by text and an image. As coaches with years of experience, Johnston and Walter knew the game, but sharing that knowledge, especially with the illustrators tasked with putting the action on the sketch of the rink, was an issue. The tips on scouting and implementing scouting reports into practice was the most significant addition. Johnston addressed the concept and the work in putting it into the second edition. 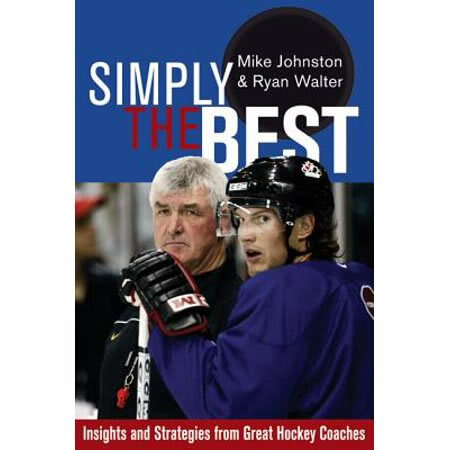 In addition to the two editions of Hockey Plays and Strategies, Walter and Johnston also teamed on two books from 2007: Simply the Best: Insights and Strategies from Great Hockey Coaches, and Simply the Best: Players on Performance. Each are exactly as described, with coaches and players talking about hockey. “The players and coaches books that Mike and I did together are both little jewels that I think most people haven't read, and we did what we wanted to do, which was to interview … just interview the players, interview the coaches, and then give the reader the exact content,” said Walter. Besides Don Cherry, with his one game of NHL experience, is there another NHL veteran with six books to his name? 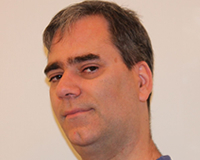 Walter has done self-publishing and worked with publishers, too. What are some of the similarities between writing and playing hockey? "There's a lot, that's all of life, isn't it? Where you cull from what you've learned. I've found that writing is not easy. I don't know if I've met an author yet that has said, 'Aw, that was easy.' You've got to bang away ... you've got iterations that you go through,” he said. For Great Shift, he admitted that there have been four versions of the first chapter, so far. “I think there's a lot of resilience in writing, there's certainly, all these things come from the NHL. But, you know, when you've got a purpose and you're going to do it, and you tell people you're going to do it, you get it done,” he said. There are autobiographical elements from his hockey days in his books, but none are a true life story of Ryan Walter. “Any story that I give around the NHL is always a positive story about somebody or something that happened great. So I'm not telling anything out of school, with our guys,” Walter admitted. As for work ethic, Walter has a great partner in Johnston, someone he greatly admires. In an email, I told Johnston that I didn't know how he found time to reply to me. 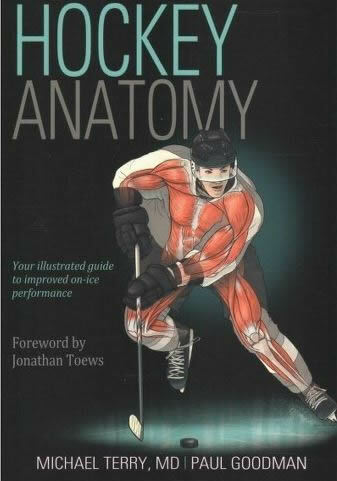 A complimentary and incredibly unique book also out from Human Kinetics is Hockey Anatomy, from two Chicago Blackhawks employees: the team physician Dr. Michael Terry, and Paul Goodman, the strength and conditioning coach. In short, the “Fastest Game on Ice” has never been better described than it is here, in minute detail, how the body works during the game of hockey, and the exercises that they recommend for optimal performance. The text is complimented by fascinating images as well, detailed drawings of the muscles and bones, the way the body is contorting and, well, moving, which is difficult to convey in a static image but it works here. “Truth is, hockey players are unique because of the way we move,” writes Jonathan Toews in the foreword. The co-authors walk a tricky line, between being a readable book for hockey players, and further down the spectrum, having it read like an anatomy textbook. It works, but to truly succeed, you'll have to actually DO the work described ... maybe a Writer's Anatomy book next to help us ink-stained wretches get in shape? * Ira Gitler died recently at the age of 90. He was primarily known as a jazz historian, but he also wrote two books on hockey: Blood on the Ice: Hockey's Most Violent Moments from 1974 and Ice Hockey A to Z, which came out in 1978. The Washington Post has a lengthy obituary on him here.